April 10, 2013 | Iran Human Rights, the Iran Human Rights Documentation Center and Justice For Iran commend the decision by the government of the Kingdom of Denmark to cease all funding for the United Nations Office on Drugs and Crime (UNODC) integrated program of technical cooperation on drugs and crime in the Islamic Republic of Iran (IRI). Through the program, Denmark provided several million dollars for UNODC’s counter-narcotics cooperation with the IRI over the last decade. The initiative had been criticized for supporting anti-drug trafficking programs in Iran which result in the IRI’s executions of hundreds of individuals every year on drug charges. Last October, Iran Human Rights, Iran Human Rights Documentation Center and Justice for Iran called on the UNODC and many of its donor nations to cease funding for the IRI’s counter-narcotics operations, pointing out that the IRI’s implementation of capital punishment for drug-related crimes is in violation of its obligation under Article 6(2) of the International Covenant on Civil and Political Rights to only impose the death penalty for “the most serious crimes.” While the United Nations Human Rights Council has determined that the “most serious” standard does not include drug-related offenses, evidence indicates that roughly 70-80%of the executions carried out by the IRI in the past few years are for such offenses. This figure suggests several hundred executions are enforced for drug-related offenses every year: in 2012, at least 580 individuals were executed in total, 670 in 2011 and 650 in 2010. The government of Denmark provided 5 million Danish kroner (about 875,000 USD/670,200 EUR/572,300 BGP) annually to the UNODC over the last two years. It was also expected to provide 7 million Danish kroner (about 1.23 million USD/938,280 EUR/801,220 BGP) over the next two years, but when a recent evaluation revealed that the funding led to executions for drug-related crimes, Denmark’s participation was discontinued. 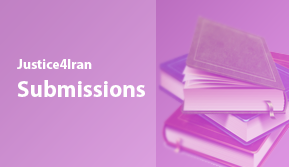 As with many criminal prosecutions in the IRI, drug-related convictions have also repeatedly been called into question by human rights organizations due to reports of low evidentiary standards, a lack of due process and the denial of counsel to defendants in drug-related cases. According to the UNODC, Denmark was among the primary donors and contributors to the integrated program of technical cooperation on drugs and crime in the IRI, along with the Federal Republic of Germany, France and other European countries. However details of the nature of this assistance have been scarcely made available to the public so far. 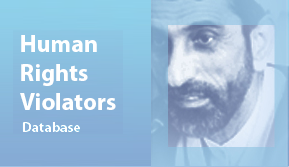 Iran Human Rights, Iran Human Rights Documentation Center and Justice for Iran call on all other donor countries to follow the Danish example and withdraw all funding for the IRI’s counter-narcotics operations.